This summer we will once again be hosting the STEM Quest camp for all current fifth (rising 6th graders) through eighth (rising ninth graders). We have a full week planned of Science, Math, Technology, Engineering, Gardening, and much more. Please sign up your child ASAP so we can be preparing for each of your children to join us. You can register online, or we also have applications in the school office in English and Spanish. Each camp has a limited number of spots available and are on a first-come, first-serve basis. Because this camp is FREE for everyone and due to the limited spots available, a $50.00 deposit is required to hold your child’s spot. Deposits should be sent with this application. The deposit will be returned to you in full at the parent open house the Thursday of camp if your child attends all four days of camp (Monday-Thursday, Friday field trip is optional). This form DOES NOT necessarily guarantee your child a spot at camp. A separate form and deposit is required for EACH child. Ms. Hamilton is asking for parent input to help our School Counseling program be the best it can be. Please take the time to fill out this short online survey. TN READY Testing Schedule is now available! We have added the TN READY testing dates and their subjects to our school website. Please help your child get a good night's rest before each test, and remind them to eat something each day for breakfast. Please make sure they arrive to school on time. If they arrive after the tests have started each day, they will need to make that test up after the second test of that day. That makes for an incredibly LONG day for your child. Please make any appointments (doctor, dentist, etc.) after 12:00 pm. This will allow for your child to complete all tests that day, and not have to make any up on the following day. Which, once again, would make for a VERY LONG day! If you have any questions, please call the office, or communicate with your child's teacher. Let's Rock this FLMS! Our award-winning Kids U summer camps are exclusive opportunities for area youth in grades 3-12. Children come to UT and learn from college faculty, staff, and graduate students in fields such as art, chemistry, cooking, anthropology, photography, microbiology, computers and veterinary medicine. Sign up now. Classes fill quickly. Family Game Night will be Tuesday, April 16, from 5-7 pm. All family members are welcome. Come learn how to add some academic questions to games you may already have. This past Monday, we had our FLMS Spring Fundraiser kickoff. Thanks to Mr. Ridenour for coming and introducing us to all the neat prizes the students can earn when they sell certain numbers of items. We are selling Popcorn, Tumblers, and candy! You can sell directly to costumers or you can set up an account online to share with friends and family who don't live around you. The items will be sent directly to them! Click on the link to see some of what we are selling. Super Snacks are now appearing during LAUNCH! We are now serving a SUPER Snack during our LAUNCH time. 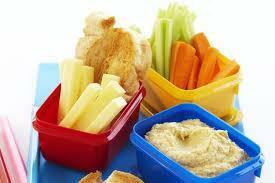 We have extended this snack to include our athletic teams as well. We want to make sure that all our students and student athletes have enough energy to perform their best on and off the field. We encourage each student to take a snack and eat as many components as they can. Each snack contains a fruit/vegetable, milk, fruit juice, protein (cheese, meat, yogurt), and a healthy carb (chips, cookies, crackers). You can see what we will be serving by clicking on the main heading link. On Valentine's day we convened our School-wide Spelling Bee. We had many students go through 15 rounds, before we had a winner. Our winner was Monserrat Garcia. Our runner up was Elijah Rooker. We are proud of their accomplishments. Monserrat will represent FLMS at the Regional Spelling Bee in Knoxville at the News Sentinel Southern Appalachia Regional Spelling Bee on March 16, 2019. Make us proud, Monserrat! FLMS welcomes visitors from Henry County, GA and Rogersville City Schools, Nashville! We would like to welcome our visitors from other states and cities in TN. FLMS is always open to parents, students and visitors from other places. Come see what makes Fort Loudoun so different from other schools. Come and find out what others have already seen. Here at FLMS, we do #WhateverIttakes to help students and staff find success. Congratulations to our own Wendy Bowman. She is the Region 5 Teacher of the Year!